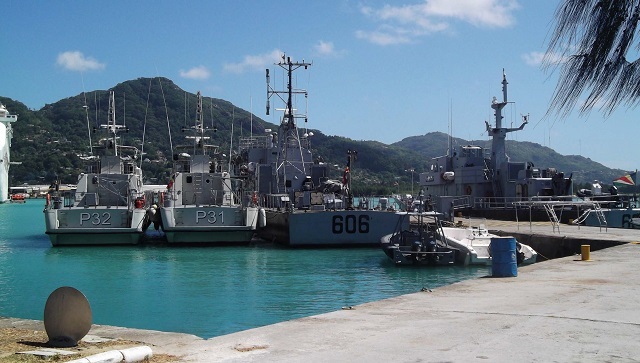 (Seychelles News Agency) - Seychelles an archipelago of 115 islands in the Western Indian Ocean has not been spared the scourge of piracy that has affected the region in recent years. The island nation ended up placing itself at the forefront in the fight against piracy, as the scourge that began to plague the Indian Ocean since 2005, had a direct impact on the country's tourism and fisheries sectors. Since 2009, the Indian Ocean archipelago of 115 islands with a population of around 93,000 has been actively deploying resources including the defence forces, coastguards, police, prison department and the judiciary to combat piracy. 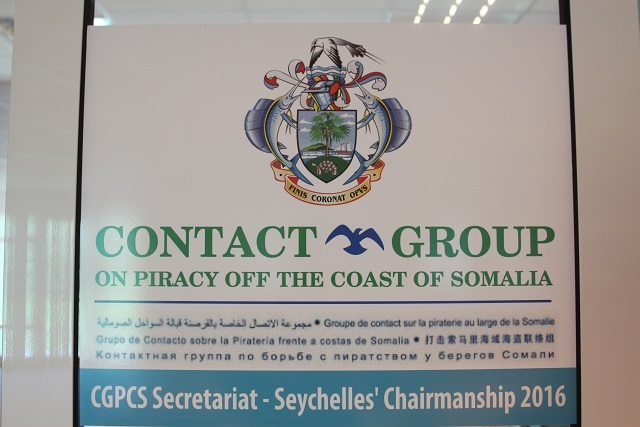 In January 2016, the Seychelles islands will be taking another step as it assumes the Presidency of the Contact Group on Piracy off the Coast of Somalia (CGPCS). Headed presently by the European Union (EU) the voluntary international forum was created in January 2009 with the adoption of the UN Security Council Resolution 1851, which among other things urged for the setting up an international body, as a contact point for counter-piracy. The CGPCS is made up of 4 working groups; Working Group 1 which is chaired by the United Kingdom is on Capacity Building, Working Group 2 chaired by Portugal is the Legal Forum of the CGPCS, Working Group 3 presided over by the United Arab Emirates is on Maritime Counter Piracy and Mitigation Operations and Working Group 4 headed by Italy is on Disrupting Pirate Networks Ashore. 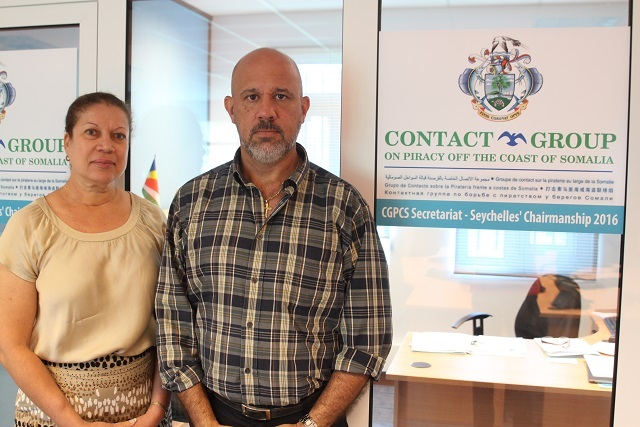 With only a few weeks left before Seychelles on the leadership of this important group, the CGPCS secretariat in Seychelles has already opened its doors at the premises of the Regional Fusion and Law Enforcement Centre for Safety and Security at Sea (REFLECS3) at Bois de Rose. SNA caught up with Raymond St Ange who will be heading the Secretariat to talk about the country's preparedness and objectives. 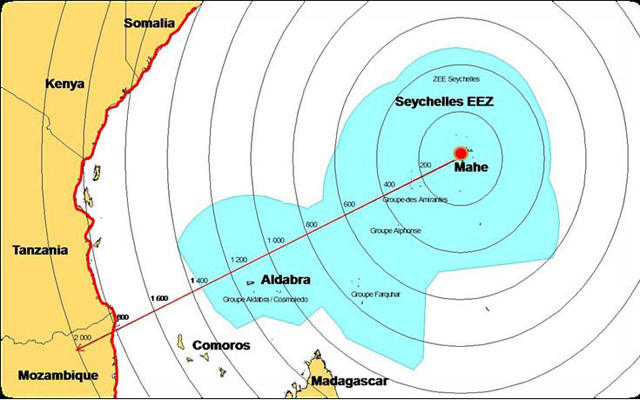 SNA: To begin with what is the role and mission of the Contact Group on Piracy off the Coast of Somali? RSA: The Contact Group on Piracy off the Coast of Somalia (CGPCS), [which is divided into four working groups] encompasses several nations including the United States, the European Union…Seychelles, Mauritius, India, UAE. [Nearly 80 countries and several international are members of the group]. It’s a very loose organisation with no such budget as such each member states contribute what they can. Their mandate [the working groups] is to do away with piracy off the coast of Somalia and to come up with solutions; that is what the UN mandate obliges them to do. It works with partners and the Somalis themselves at sea and on land. The objective…zero hostages and zero incidents. SNA: Why the coast of Somalia? RSA: There were a lot of issues coming from Somalia and this goes way back into the history of the country when there were many maritime intrusions and the locals could not protect themselves when the state dissolved and there was no government. The people who make a living from the sea grouped together because they had no defence against bigger vessels. They formed groups to protect their space and when they found how lucrative that was, they ventured further out and targeted other ships. This became a problem for the Western Indian Ocean, the Gulf States, Oman, Pakistan, India, then moved to Maldives and, of course, Seychelles. SNA: Seychelles will be taking over the Presidency of the CGPCS in January 2016 – Is the country ready to assume this role? RSA: The answer is yes. If we were not ready, I don’t believe that a key partner like the EU would even have suggested it and Seychelles would not have been backed. This is a UN mandate so it is serious. Then you go back to 2008-2009 what did Government do? Did we raise a white flag and say we surrender? It did a lot. It stepped up and said we are not going to take it and did something about it. By doing something, that was a catalyst for something else. It showed that Seychelles’ leadership in the region could not be ignored...and the testament is Seychelles taking up the presidency for the contact group, the chairmanship and the Secretariat. SNA: What will be the primary focus of Seychelles as it takes over the new role? RSA: In September 2015 representatives from the EU Secretariat came here for two weeks to prepare us for the handover and we came up with the main targets which the Seychelles presidency under CGPCS wants to achieve. The most important thing is that we want to make sure that under the chairmanship of the Seychelles, the Indian Ocean becomes an ocean of opportunity. It was proposed by Sri Lanka on December 16, 1971 along with Tanzania and adopted by the UN General Assembly resolution that the Indian Ocean would be a zone of peace. They wanted to prevent the Indian ocean becoming a battle ground for the major powers at that time. As we assume the presidency and mindful that this would be the 45th anniversary of that declaration we want to positively exploit that further by declaring as a key message that the Indian Ocean be a zone of peace and opportunity. SNA: The Presidency and chairmanship come at a time when piracy is on the decline – are there any other emerging threats that will be targeted? RSA: The emerging threat have been there for some years...are gun running, human trafficking, drug trafficking and transhipment through the area. On the piracy side yes the threat is still there, this weekend two incidents were reported. 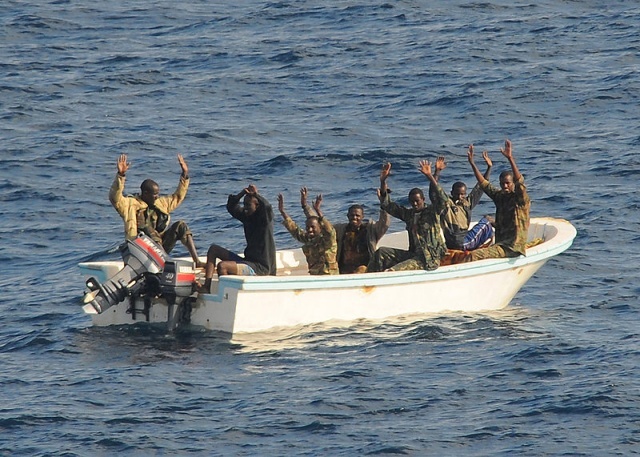 One of them looked like there was an attempt so that tells us the pirate gangs are still there and with Somalia still in disarray, it is not out of the woods yet. SNA: The role was discharged by the US then the EU. Does Seychelles as one of the smallest island state have the capacity to take over from the EU? RSA: We look at the Secretariat as being only the tip of the iceberg and what’s good about the contact group is that they are committed to one thing; that is the end of piracy from Somalia. How big and small you are is not the issue it is what you can contribute and Seychelles has contributed a lot in terms of leadership and engagement in its policies and its proactive stance. This is recognised internationally and regionally and partners are equal. We are working with an excellent team, groups and members and they are all dedicated people. SNA: A new report recently indicated that rampant illegal fishing by foreign trawlers off Somalia's once pirate-infested coastline could push the Somali communities back to piracy. Is that a concern for Seychelles? RSA: Yes it is. A month or two ago there was a meeting here about illegal fishing sponsored by the UNODC. It’s a concern for the Seychelles Fishing Authority which keeps an eye on things and for the coastguard. SNA: Will this new role add any financial burden on Seychelles? RSA: There is an annual budget of around 75,000 Euros for administration costs [provided by the EU]. The EU has also committed to supporting us concerning logistics when we organise meetings. SNA: What is being done now only a month left before 2016 to assume the chairmanship? RSA: We have a Master message that has gone to cabinet and as part of our consultation process we are sharing it with all members. We are knocking on doors, talking to the private sector and the media. What we are doing right now is establishing contact with all of them [the working groups] saying we opened on Monday [the Secretariat] and this is our focal point. The groups are already working and we are now establishing links to find out where they are now...the next big event is a strategic meeting that will be held in New Delhi India.